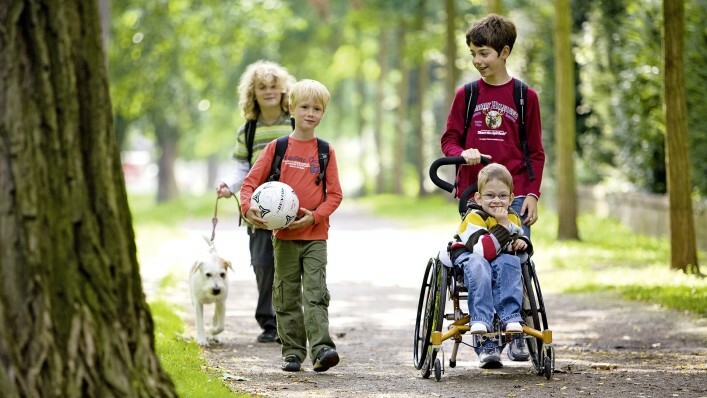 Cerebral palsy is the general term for a number of neurological conditions that affect movement and co-ordination. Neurological conditions are caused by problems in the brain and nervous system. A child with cerebral palsy may be slower in achieving important developmental goals, such as learning to crawl, walk or speak. You should see your GP if you are concerned about your child's development. If necessary, they can refer you to a paediatrician (a doctor who specialises in the treatment of children), who can help identify any problems. There is no cure for cerebral palsy. However, there are numerous treatments available, which can treat many of its symptoms and help people with the condition to be as independent as possible. Cerebral palsy is not a progressive condition. This means the original problem in the brain doesn't get worse with age, and life expectancy is usually unaffected. However, the physical and emotional strain of living with a long-term condition such as cerebral palsy can put a great deal of stress on the body, which can cause further problems in later life. This is where Ottobock can help. We have a range of wheelchairs which can improve your quality of life. Read below to find out more. 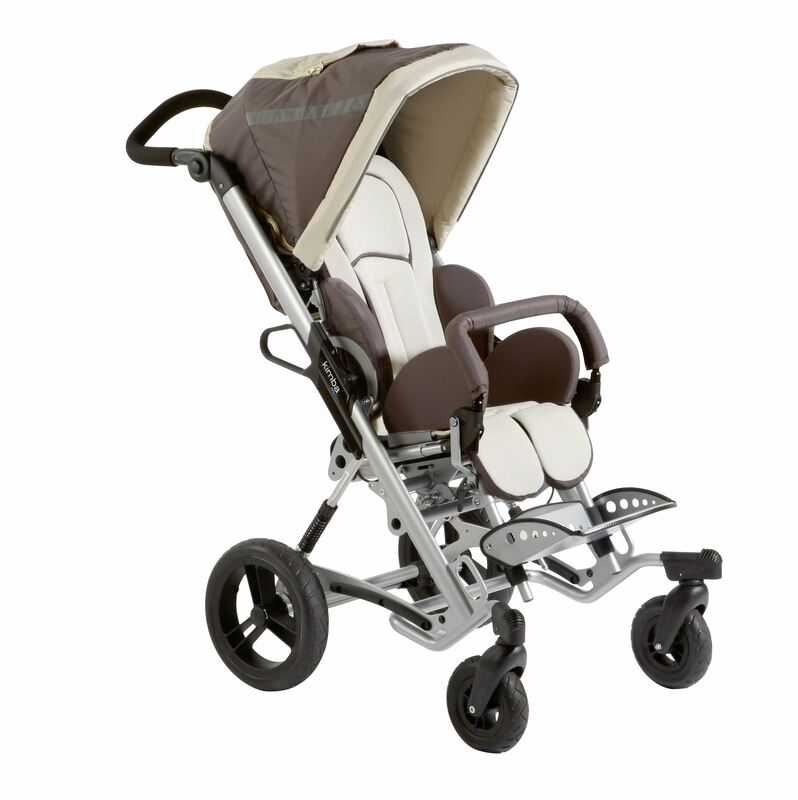 The foldable, stroller-style Kimba® Neo is the perfect solution for a busy life. 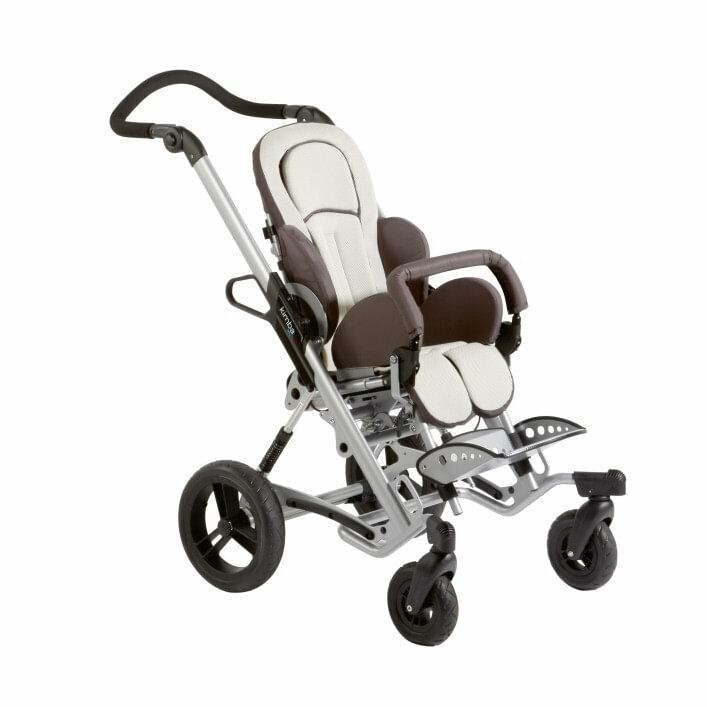 It’s got lots of convenient features to make your day easier—while offering the best support possible for your child. Learn more about the advantages of the Kimba Neo—or click on the red “hot spots” in the photo to dig deeper into perfect solution. 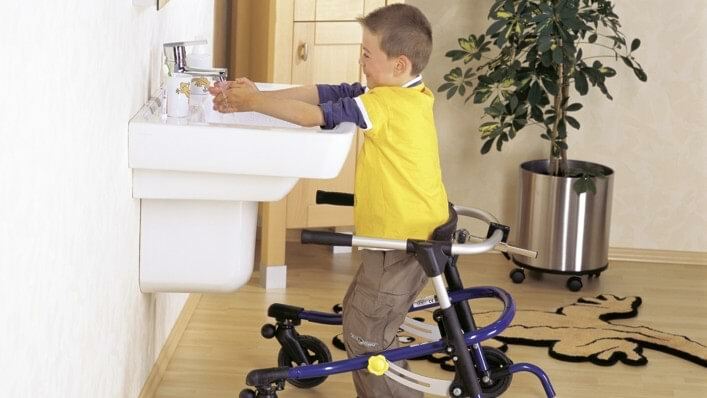 The Nurmi Neo is a solid solution for kids who can walk but need a little extra support, especially those whose gait is improving and want a walker that will grow with them. 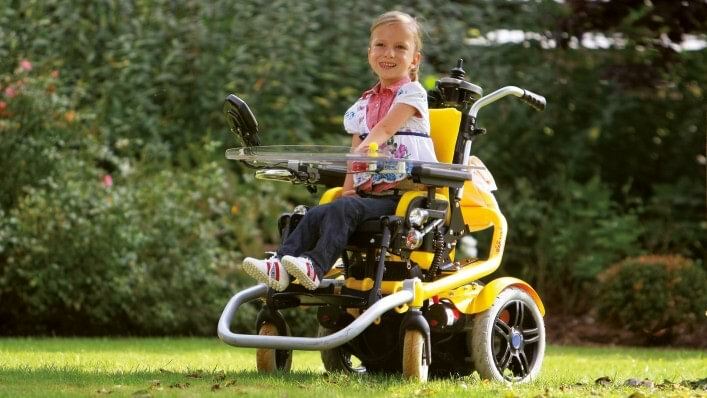 An active wheelchair for children, the BRAVOracer is a practical, compact all-rounder that handles any everyday situation effortlessly and is easy to stow for transportation. Developed based on the body and growth data of children, that adapts to a child's requirements. Skippi's speed and high degree of maneuverability helps it support children's urge to move and the pleasure they derive from making discoveries. The Skippi power wheelchair is also easy to disassemble and fits in any small car.